We all heard about the backlash that the casting of Johnny Depp in the new instalment of the Fantastic Beasts franchise, The Crimes of Grindelwald, but it seems Rowling has one-upped herself. With the release of the new trailer comes inevitable online backlash which, to be honest, seems warranted. The reveal of Nagini (Voldemort’s snake in the Harry Potter franchise and the final Horcrux) left us all surprised as she was a person the whole time, played by South Korean actor, Claudia Kim. It turns out the snake is actually a Maledictus; a woman who has cursed blood and will eventually transform into a beast. Thus far, she has only been referred to by Credence (Ezra Miller) as Nagini and her actual name hasn’t been revealed. As well as that, she’s the only other Asian character in the entire franchise aside from Cho Chang (Katie Leung), Padma and Parvati Patil (Afhsan Azad and Shefali Chowdhury) who all themselves are painful, one-dimensional stereotypes of British-Asians. Rowling has had a history of her half-hearted attempts at Asian characters who were all painful stereotypes of their ethnicities and of being retroactively ‘progressive’ and the most infamous example is probably the revelation that Dumbledore was gay the entire time despite no mention of it in the books or films (yes, including Crimes of Grindelwald. 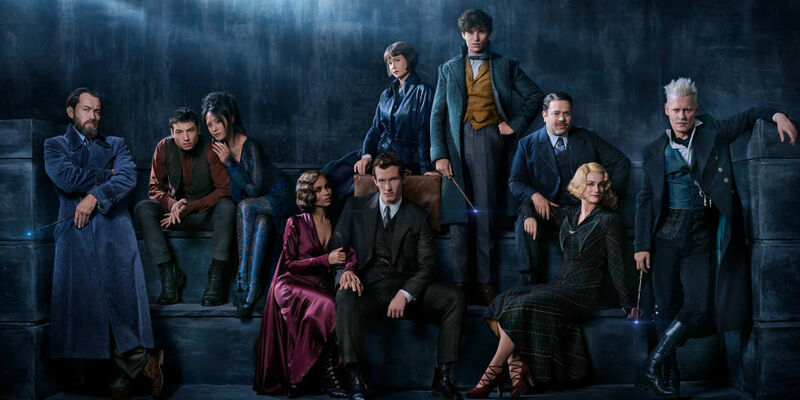 The director, David Yates said the film will not make his sexuality a prominent thing, something the straight characters will never have done to them). Following this, the news of Noma Dumezweni, a black actor playing Hermione in the Cursed Child resulted in controversy to which JK Rowling responded that Hermione was never supposed to be white, which then resulted in Hermione’s original descriptions in the book becoming concerningly racist. Then came her appropriation of Native American culture the Johnny Depp issue, which only added fuel to the already raging flames. 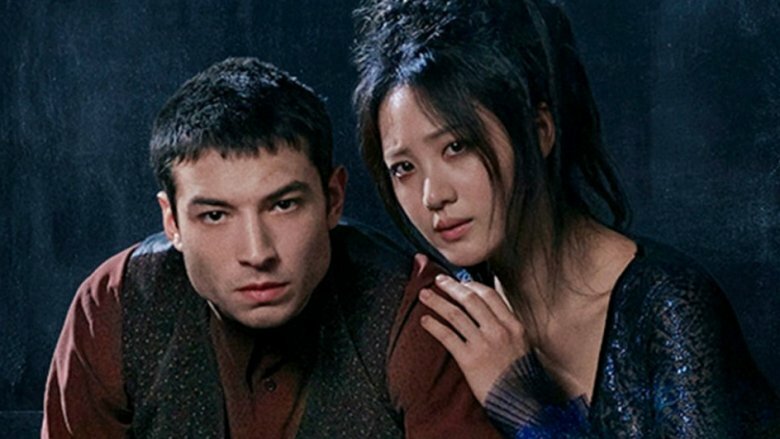 Despite all this, Rowling never learned from her mistakes and revealed Nagini, played by Claudia Kim and it turns out it’s a lot worse than the Exotic Asian stereotype. Yes, it’s going to boost Kim’s career and I’m happy for her but the role itself is the problem. Did the only Asian movie in this franchise have to be a woman who is cursed to become a snake to propel the plot of the angsty white boy? Does she really have to be portrayed as a stereotype of East Asian women, as submissive and weak? JK Rowling cast one of the only Asian actors in both franchises as Voldemort’s pet snake who is milked on the regular and eats the bodies of his victims for 10 years before she dies. As well as this, Nagini is a Sanskrit word for snake or cobra deity which is a whole other problem. It’s almost as if Rowling didn’t even try this time. Yes, this could be argued as a step towards Asian representation but at the same time did it really have to be as Nagini? Moreover, the only other WoC in the film (Zoe Kravitz as Leta Lestrange) is an antagonist and yet another lazy trope. On Wednesday, Rowling tried to defend herself from the backlash but instead made her attempt at diversity seem even more half-hearted and more like an act of self-preservation than anything. She claimed that she got the idea for Nagini from Indonesian Mythology which contradicts her previous stance in which Nagini was an Albanian snake (Albania is a European country in the Balkans. Clearly not Asia). While Rowling attempts to inject much-needed diversity into her fiction, she seldom succeeds. Perhaps authors such as Rick Riordan could be of example – he redeemed himself in his Heroes of Olympus series which, much like Fantastic Beasts is a spin-off of an original. It features characters who are not only of a wide range of ethnicities but also queer (Riordan doesn’t conceal these things either). Maybe Rowling will redeem herself like this and maybe the movie itself won’t be as damaging as the trailers and Rowling’s own tweets make it out to be. Perhaps the lazy tropes given to the women of colour will correct themselves in the actual movie or in the next three instalments. Fantastic Beasts: The Crimes of Grindelwald will be out in November.